Last Sunday I skied with Kobi, her BFF Dino, and my friend. The weather was stunning and the trails weren’t too bad. We’ve had a ridiculously long snap of warm weather. Then work took me out-of-town and because of the warm weather I opted to drive the five hours so I could bring my ski gear with me and test out the trails south of here. After picking up enough food to last me a month, I settled into my hotel and just as I was finally falling asleep, the individual in the room above me decided it was time to return to his room. Now, to add some context to this, I am in a different time zone in this town, an hour ahead of what I am used to. Noisy person proceeds to drop large heavy objects on the floor for about 30 minutes. It sounded like he was dropping weights on a tile floor. I finally get to sleep only to be awakened by Mr. Noisy at 5AM (4AM my time – thank you time zone change). He can’t do this quietly either. I swear he put on his work boots and proceeded to lope around the room for an hour! At one point it sounded like he was dragging a fridge around the room. I’m dead serious as I don’t know what else would’ve made that kind of noise. I changed rooms later that day as I couldn’t handle another night and morning with Mr. Noisy. The remainder of my stay was a bit quieter. Recall I brought my skies with me as I heard there were great cross-country ski trails and the weather was super nice down this way too. Of course the first attempt at finding the trails resulted in me getting lost, but I eventually figured things out and found the trails. 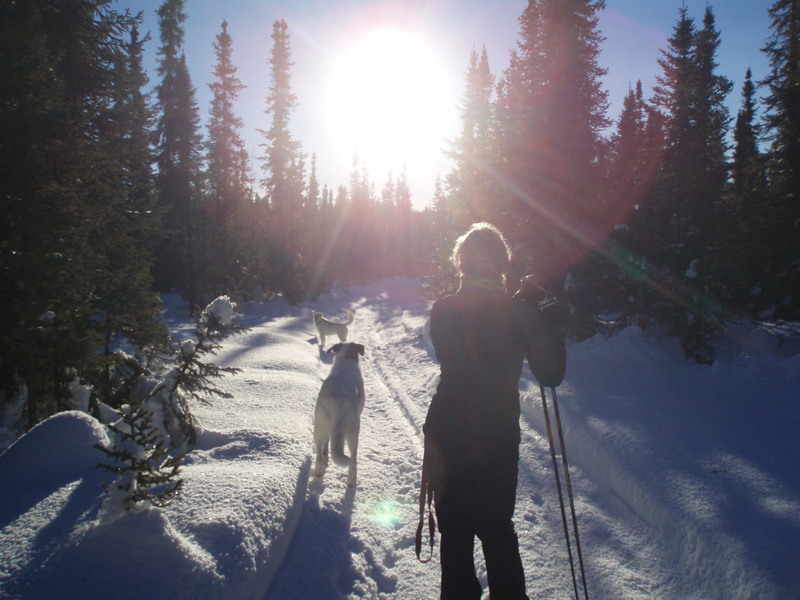 Super wide, well-groomed trails, but no dogs allowed. Once on the trails, I made the silly decision to leave the groomed trails to check out the rest of the trail system. It was super icy and treacherous on those trails, but I eventually found my way back to the safer groomed trails and managed not to fall and break a hip so everything ended okay. I did go skiing again on day 3 and stuck to the groomed trails this time. The ski was good, but lonely without Kobi. 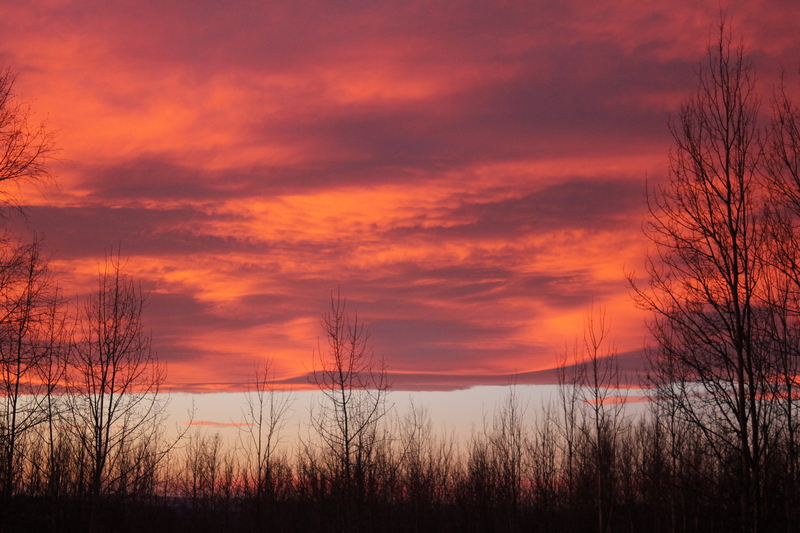 I got to ski with Kobi again on Friday when I was back home and enjoyed this beautiful sunset. Unfortunately this long bout of warm weather has taken its toll on the snow. The trails are now a mess of treacherous ice, tree branches and dog poop. I won’t be skiing until we get some snow again. I’ll have to stick to swimming and snowshoeing and hopefully by the end of the week I’ll attempt to run again. Ever had a noisy hotel guest ruin your stay (not just the x-rated kind). Do you like to explore new areas when you travel out-of-town? 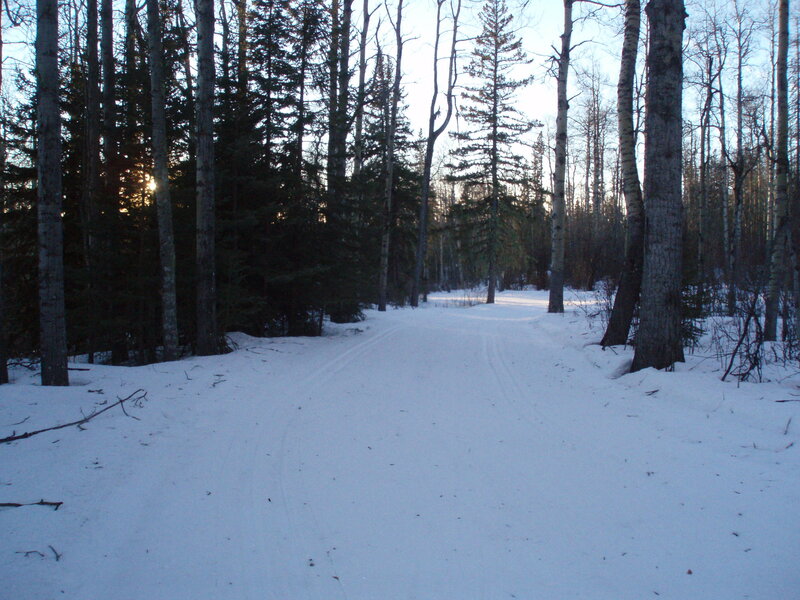 Categories: Running, Training | Tags: Cross-country skiing, winter exercise | Permalink. It all started Tuesday night. The forecast noted a wind warning and warmer temperatures. They were right. The wind was brutal and it was even raining horizontal for a while. The temperature jumped to +7C that night. Since the windstorm it has been unseasonably warm. Like +5C (with lows to -5C). It’s forecasted to stay warm all next week too. This is one long Chinook. Monday night, prior to the heat wave, I had a moonlight run on the community trail. Of course it was cold that night (-17C). 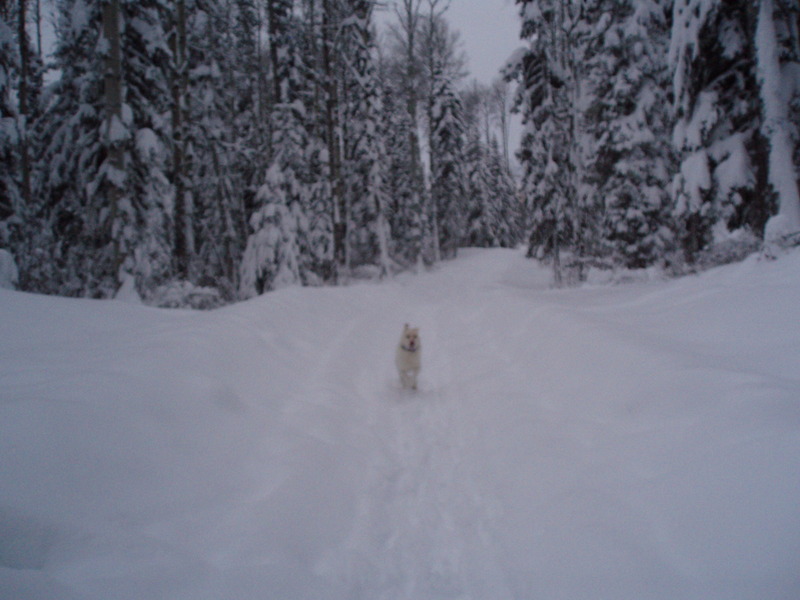 Kobi loved it and we were the only ones out there. We did come across some snow angels though. No photos as I didn’t have any pockets to put any digital gear in. I haven’t run since Monday as I’ve been having some weird foot issues. It started earlier in the month and I had hoped it would just go away, but it hasn’t. The top of my foot hurts between the ankles. I’ve been doing some Google research and have self-diagnosed myself with extensor tendonitis. I’m going to see a physiotherapist on Monday when I’m out of town for work as we don’t have a physiotherapist where I live. We also don’t have a veterinarian (more for Kobi than me), but I digress. I shall see what the physio dude thinks. Skiing doesn’t seem to bother my foot much so I’m doing that. Thank goodness because Kobi goes a little loco when she doesn’t get run lots (as do I). 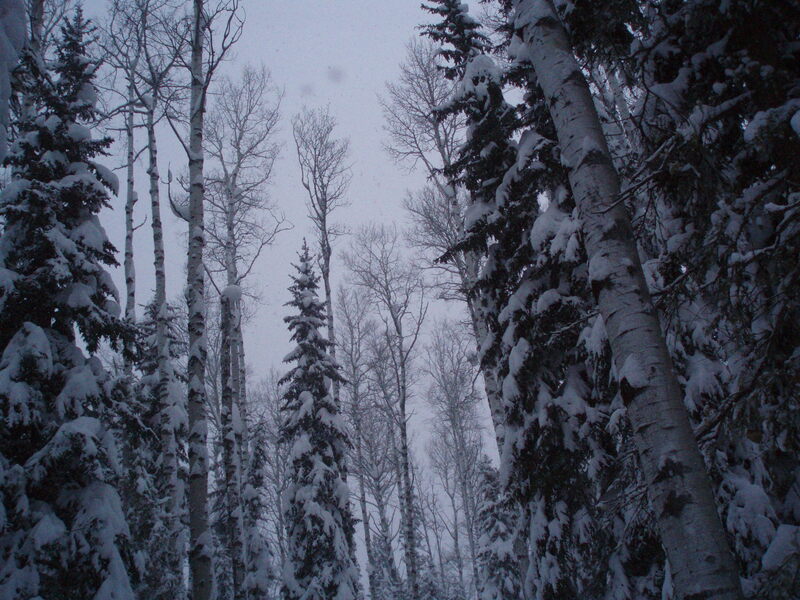 We did have a lovely long snowshoe Saturday afternoon as walking doesn’t hurt (no wildlife encounters). Kobi after our ski in +5C. This is her I-don’t-want-to-go-home-face. 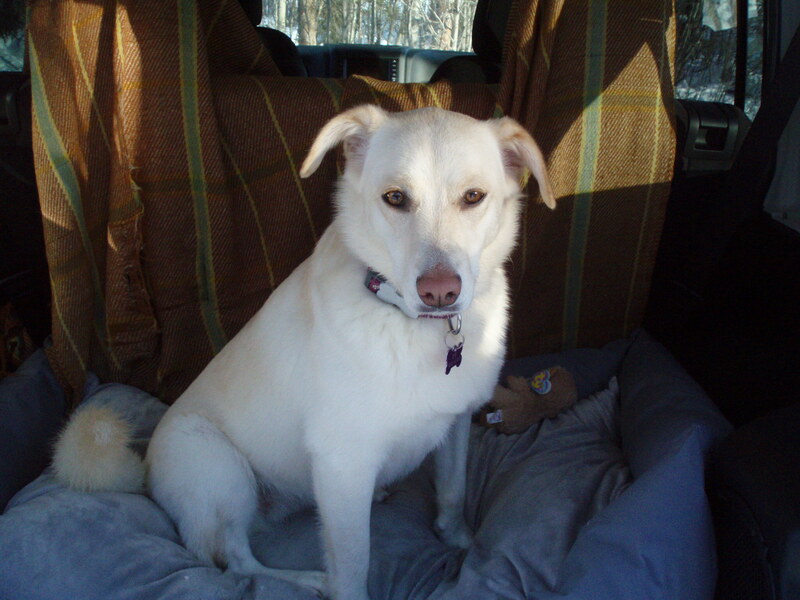 Categories: Dogs, Kobi, Running | Tags: Chinook, Cross-country skiing, extensor tendonitis, winter running | Permalink. The view during our ski. It was actually snowing really hard when I took this. 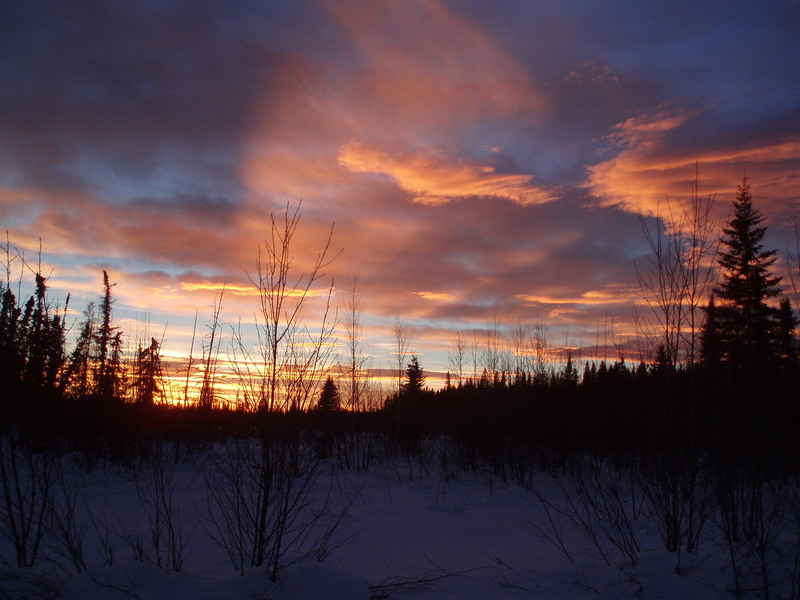 It’s been a week mixed with some sun and snow and slightly warmer temperatures. But of course it’s the weekend now so the temperatures have dropped. Yesterday was -20C with a wind-chill of -27C and it’s currently -27C with a -31C wind-chill, but it is sort of sunny out. It will likely start snowing soon because it seems to like to snow here. 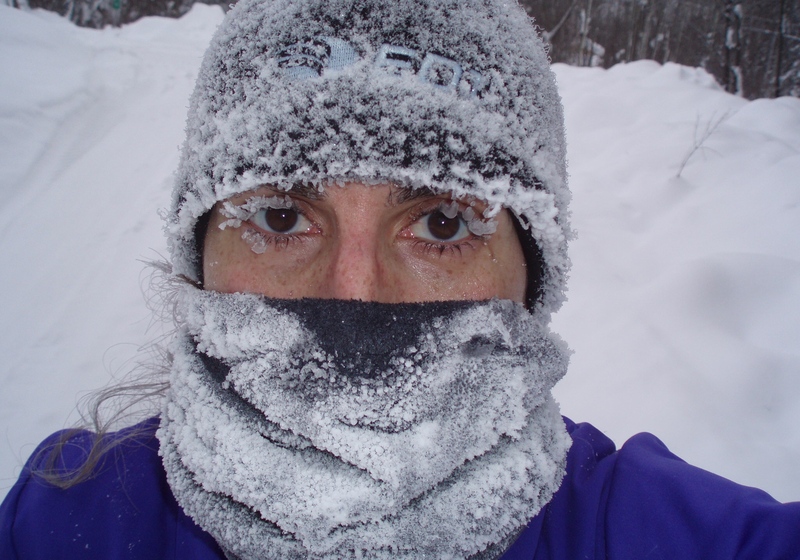 This is how I looked last Sunday after running outside for 75 minutes in -25C, no clue on the windchill. This is my winter ninja look. I bought Kobi a pretty little red jacket. I’m not certain if she needs one or not. She has a good coat of hair, but she is mostly an indoor dog unless we’re out on one of our daily adventures and I’m concerned she might get a bit cold sometimes. I think I’ll just get her to wear it when it’s -20C or colder, warmer than that and I don’t think she needs it. She wanted to pull it off when she wore it for the first time, but during our weekend ski adventure she didn’t seem bothered by it at all and did all her usual dog stuff like pooping, rolling in snow, chasing squirrels and finding dead animal bones. And for your viewing pleasure, I made this short work-out video with a friend this morning. Check it out if you want to take your work-outs to a whole new level (and have snow). 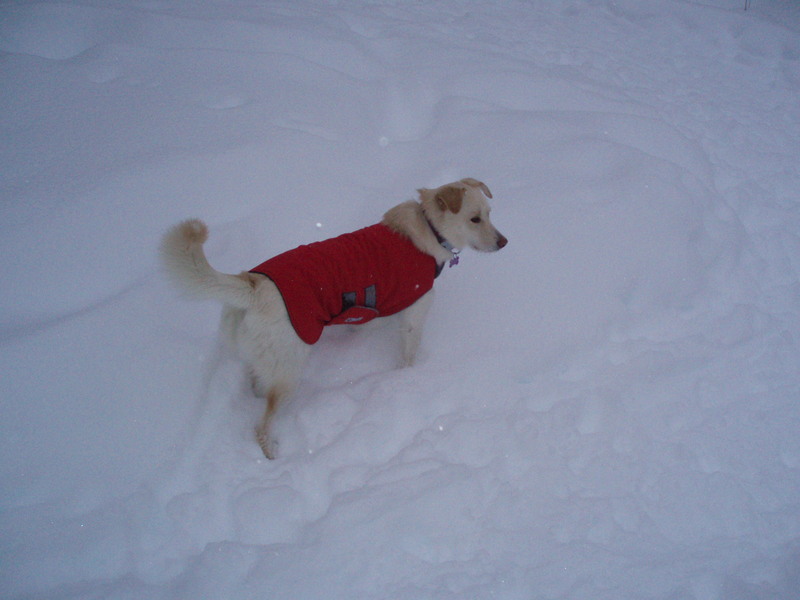 Just a few notes: I’m wearing the cool dark blue snowsuit, the other dog is Kobi’s BFF Ginger Daisy, those are grosbeaks you hear in the background (birds at my bird feeder), it was -30C out when we did this, and remember you do any new work-outs at your own risk. Categories: Dogs, Training | Tags: cold temperatures, dog jackets, dogs, running in winter, winter work-out | Permalink. Categories: Dogs, Kobi | Tags: dog chasing tail | Permalink. I’m beginning to feel like I live in a snow globe as it never seems to stop snowing. I did see that big yellow star they call the sun yesterday and for a little bit today, but it’s gone again. I think I can count on one hand how many times I’ve seen the sun since the beginning of December. It’s getting depressing. I decided to run on New Year’s day in town as I figured the trails would be better there, they were worse. I did get to the see the elusive moose just at the bottom of my road when I was en route to town though, so he or she does really exist – Kobi barked at it. 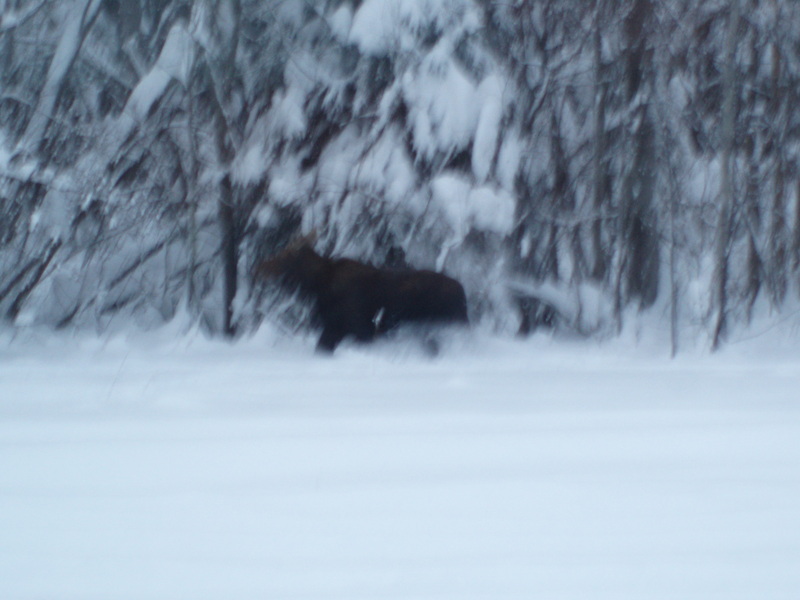 The moose that makes the tracks I keep seeing, it’s a bit blurry. So back to the run. It was horrible. It took me 45 minutes to cover 4.5 km. I got excited when I could run on part of the trail that the deer had been using as it was slightly easier than breaking trail myself. I did a lot of cursing in frustration while Kobi was running around having fun. I need to try to embrace her dog happiness regardless of conditions. Our New Year’s Day run in the snow. I gave up on the trails and opted for the road for the last bit of the worst run ever. Problem with road running is that Kobi needs to be on a leash and she turns into a sled dog the second a leash goes on. 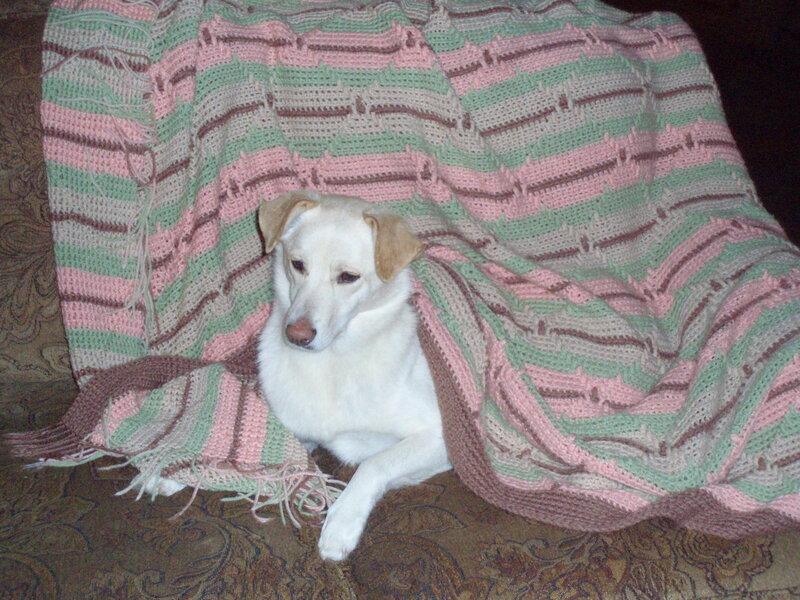 She is from the Northwest Territories so she could be part sled dog, who knows. Anyway, it was more cursing on my part and Kobi running out of control. Lot’s of fun. To add to my worst run of the year I came down with a nasty cold that night – compliments my hubby who got it first. That was karma catching up with me as I am very unsympathetic to him when he gets a “man cold”. To prove my superior strength to him (as I always boast I am so tough) I went to swim class the next morning and cross-country skied a few hours later. I did have to go to bed after the ski as I was feeling absolutely horrible and completely drained by that point, but I didn’t tell him that. The ski was stunning, apart from feeling like digging a hole in the snow and curling up to sleep. 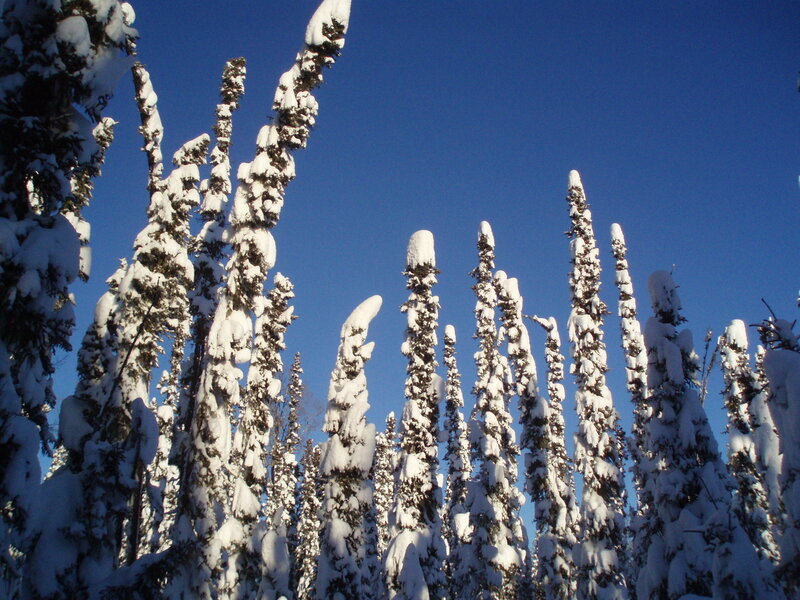 I took this picture during the ski as it reminded me of something from a Dr. Seuss book. The view during my ski yesterday. 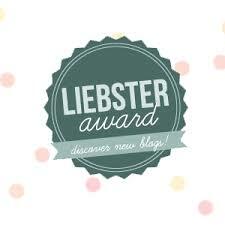 Oh, I want to thank HappyLife.HealthyLife for nominating me for the Liebster Award, how cool is that? Check out her blog, she is hilarious and also offers these cool training plans. I’ll address that awesome nomination in my next blog, but first I have a question for you other bloggers. I understand that I need to nominate a few more bloggers and I read so many awesome blogs, but I suspect some of them have also been nominated in the past. How do I know if someone has been nominated before, or should I just nominate away? 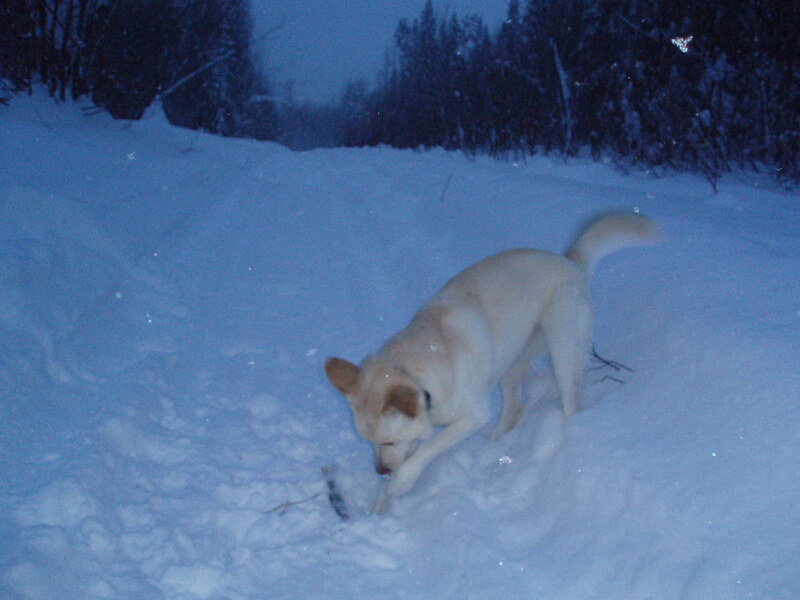 Categories: Kobi, Running | Tags: Cross-country skiing, Moose, winter running | Permalink.